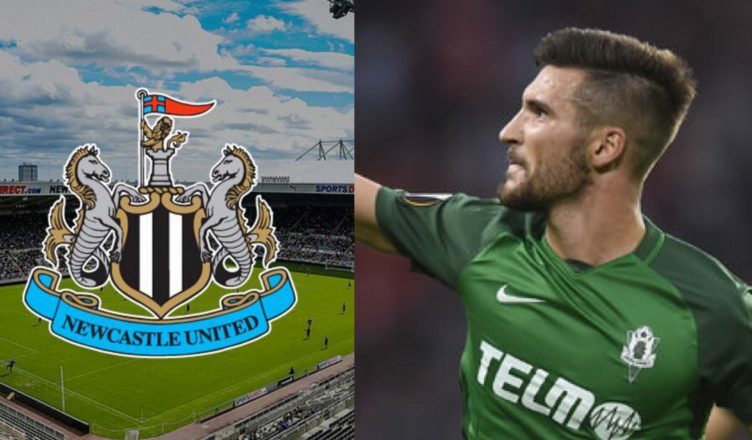 NUFC linked with £4m move for goalscoring ‘no.10’ – a budget alternative to Miguel Almiron? – NUFC blog – Newcastle United blog – NUFC Fixtures, News and Forum. NUFC linked with £4m move for goalscoring ‘no.10’ – a budget alternative to Miguel Almiron? According to the Daily Mail, Newcastle are tracking Czech Republic international Michal Travnik ahead of the January transfer window – with £4m rated playmaker bagging 10 goals and 10 assists already this season. The report claims that both ourselves and Fulham have been tracking the 24-year-old after his impressive Europa League performances this season (with 2 goals and 3 assists for Jablonec in 6 games), whilst Augsburg and CSKA Moscow are also said to be keen. Although we did look to the Czech League to find a £4m bargain in Martin Dubrakva, it would be typical of the Mike Ashley era to see us ignore Rafa’s £20m-rated top target in Miguel Almiron and go for the budget option instead. The playmaker – who can also play as a holding midfielder – has managed 10 goals and 10 assists in 25 appearances this season, helping Czech side Jablonec move up to 4th in the table (one place above Dubravka’s former club Sparta Prague). As we know, the signing of Dubravka proved to be one of the bargains of the season at just £4m (and Travnik actually has the same agent as the Slovakian), but deals like this are often a one off. Some of the fees quotes for certain players may be silly in this day and age, but you get what you pay for nine times out of 10. A club record move to sign Almiron could move Benitez a step closer to signing a new deal, but decisions to ignore Rafa’s top targets and sign bargain bucket options instead would seem like another nail in the coffin for me – even if he did turn out to be another hidden gem. £4m??? He looks more like a Toon signing, can we have him on loan first with an option to buy?? It seems to me that Ashleys “moneyball” approach, while not hugely impactful is at least improving the quality of the team. Dubravka, Ki, Schar and Fernandez have all improved the standard of the team while the more expensive Muto has given us extra exciting options in the box. With Atlanta Chairman Eales saying he “won’t get out of bed” for less than 30 million for Almiron who in their right mind is going to offer that kind of cash for an unproven striker? America is where EPL strikers go to die, it’s hardly a breeding ground for them.